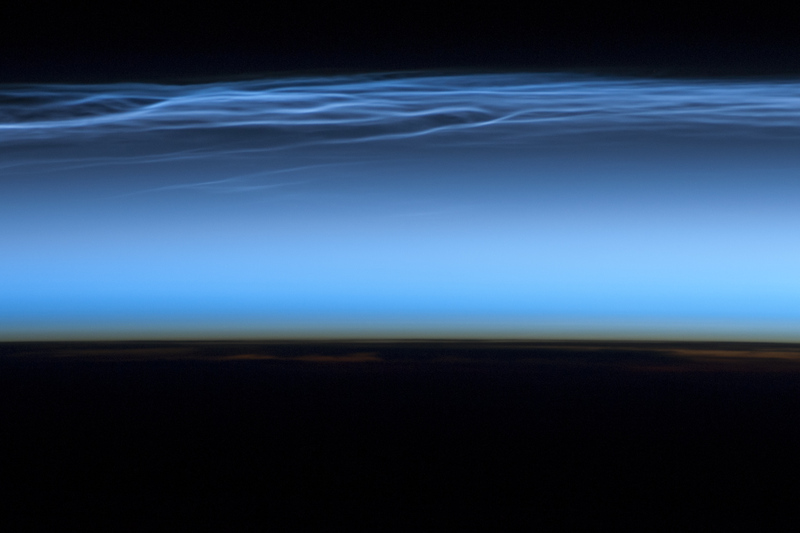 Glowing high-altitude ice clouds were spotted over western Asia by the crew of the International Space Station on June 13 during one of their 16 daily orbits of the planet… the photo above shows the wispy filaments shining brightly in the mesosphere above western Iraq and Uzbekistan. I thought so too. Like in an old movie theater.